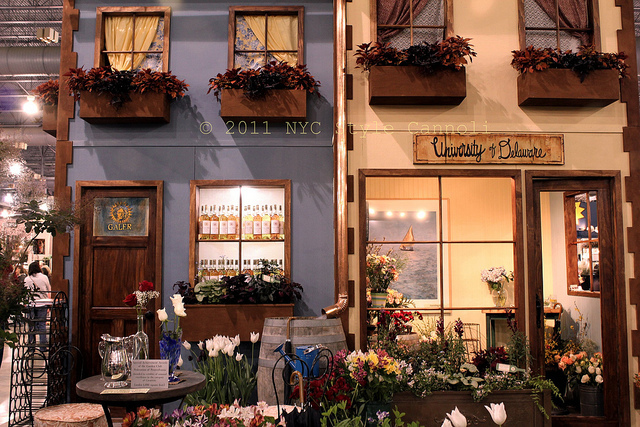 Photo Gallery Thursday "2011 Philadelphia Flower Show "
One of the gorgeous displays from the 2011 Philadelphia Flower Show which theme was Springtime in Paris. The theme for the show in 2012 is Hawaii and should be amazing! You can find out more info HERE . Flowers - a hopeful reminder that spring is just around the corner. Bet the entire city smelled nice. Thanks so much for reminding me about this! It was fabulous when I went a few years ago! !